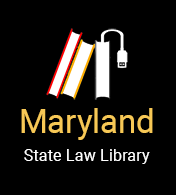 Monday-Thursday, 10 a.m. - 12 p.m.
Senior Legal Services (“SLS”) is a joint program of The Bar Association of Baltimore City and the Baltimore Bar Foundation. Founded in 1991, SLS provides vital pro bono legal services to low-income seniors, aged 60 and over, in Baltimore City. We advise and represent clients on a broad range of civil legal matters, including estate planning, consumer and debt collection issues, landlord/tenant disputes, housing matters, foreclosure prevention, probate, and guardianship. The mission of SLS is to provide quality legal services to an underserved population at risk of losing resources to empower them to age in place and thrive in their community.